What you need to know after closing a Reverse Mortgage? A Reverse Mortgage is a loan that enables homeowners that are generally 62 years of age or older to use part of their homes’ equity to obtain cash proceeds that can be used in many ways. The loan does not have to be repaid until the last surviving borrower or remaining eligible non-borrowing spouse leaves the home. A guide to information that we trust will be helpful in answering some questions that you or your heirs may have now or in the future about your FHA-insured Home Equity Conversion Mortgage (“HECM”) commonly referred to as your Reverse Mortgage Loan. 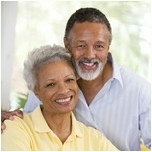 You can pay off your Reverse Mortgage in full at any time or you can wait until you reach a Maturity Event. This guide will help you prepare when a Maturity Event occurs and the loan has to be repaid when the borrower sells the home or passes away.